Introducing the Bring Another Brit to Worlds Competitive Netrunner Circuit. A series of Netrunner tournaments with qualification for the Grand Final in London where you can win travel to Minnesota and tickets for FFGs World Championship event in November! I like Netrunner, a lot. I especially like tournament Netrunner. You get to spend a whole day with a lot of like minded folks and show them that you can choose and deploy 96 pieces of cardboard better than they can. You get to talk about which pieces of cardboard fit better where. Why one 'unplayable' piece of cardboard is just waiting for its moment to shine. You get to lose yourself in a world of espionage, megacorporate power grabs, enthusiastic urban redevelopment and writing your name on the Moon. You get to share this with up to 60 others (or nearly 200 if you're at UK Nationals) who are similarly obsessed. 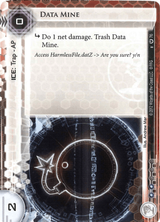 Netrunner Tournaments are brilliant! Netrunner finishes for the year at the end of May, with more than half the year remaining. While mini-tournaments for Game Night Kits are good fun they're isolated events. It's a day of fun and then it's over. Very fire and forget. Like a Data Mine. from the UK. His top 8 finish was a massive achievement. While it's exciting that the UK Champ will go again this year. I thought it would be great if they had a stable mate, then I had an idea, I could organise a tournament to send another participant from the UK to Worlds. With a little help from my friends at Netrunners.co.uk [BABW] - Bring Another Brit to Worlds was created. It's been discussed a few times before, but the only real way to see if this sort of thing would work is to do it and deal with the fall out. I've been inspired and supported by Spags, Aaron Andries, Dan D'Argenio from the Stimhack forums. We're going to keep it simple. Ask TOs around the country to host the tournaments they would likely host anyway, but offer as prizes a chance to compete with the best netrunners in the country for a big grand prize. I posted the website to Facebook. It got over 500 page views from around the World on the first day! 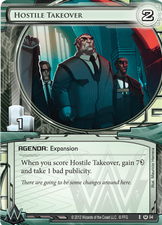 The UK - and international - Netrunner community is excited about competitive Netrunner. I've had applications from around the country enquiring about hosting qualifiers. Several European players have expressed interest in travelling to compete at the LCQ. We'll have to work to make sure that we do in fact send another Brit to Worlds. We've teamed up with Michael Coop so that the winner of the Uroboros Cup side event at the UK Games Expo will win the first entry to the Grand Final. After that the first Qualifier should be on the 20th June, with a BABW Hostile Takeover of Near Earth Pub in Bristol. Dates of the other qualifiers will be announced by 10th June. So that's where we are. We have a website, a final and applications from around the country to host qualifiers for the first competitive Netrunner circuit outside the US. If you're interested in joining us on this wild ride please get in touch via babw.uk@gmail.com to indicate your interest in hosting a qualifier. I'm hoping we'll have more than 300 players across 14 tournaments competing for a coveted Plane Ticket and Week Pass for FFGs World Championship Week* as well as the title of BABW Champion. I've had a rollercoaster of a week, and I'm looking forward to making sure everything runs just as Jack would want. Spread the word, get involved. Hopefully see you at the gaming table over the summer. If you are, or know, a talented designer who would like to help design some of the prizes for the BABW Circuit please get in touch. I would really like to make some unique special prizes for our events. Thanks in advance for your help! *Having seen the recent changes to the FFG Worlds competition, I'm still yet to get confirmation that we will be able to offer a ticket as a prize. I'm optimistic, and working on it.